Agustin* has a lot of personality in a tiny little body. As you will see in the accompanying pictures, getting him to do a normal smile for a photo is nearly impossible. He is at Amigos with his four siblings- a little brother and three big sisters. They're the largest sibling group at Amigos de Jesús. 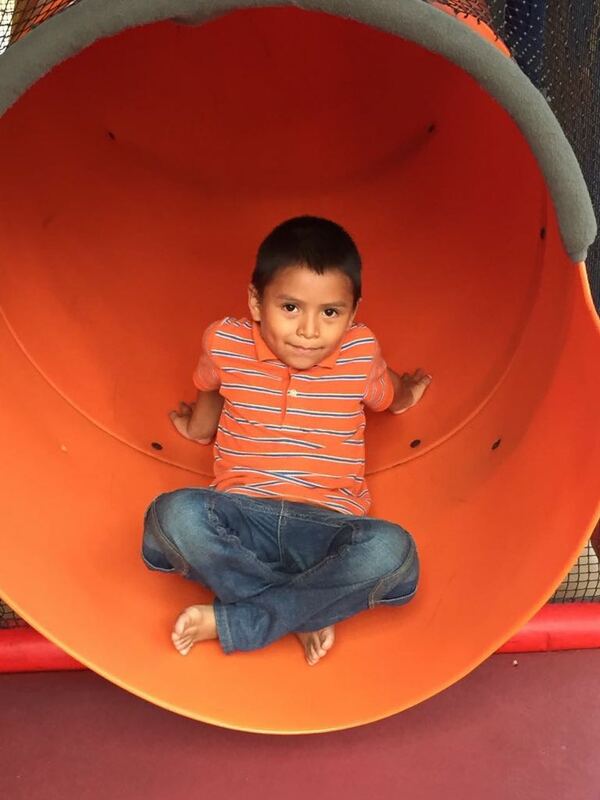 When not in school (third grade) or doing chores, Agustin can be found with a sweet group of little boys, who love to make roads in the dirt and drive toy cars on them. We love you, sweet boy! What is your favorite part about school? I like playing soccer during recess. However, my favorite class is Spanish, and my favorite teacher is Profe Miguel, because he is an adult and smart. What is something interesting that you have learned recently in school? Math! What do you like to do in your free time? Hang out with the 'padrinos' because they do a lot of things. I also like to play soccer with my younger brother. I like to watch and play soccer. What do you want to be when you grow up? A policeman. Who are some of your friends in the 'hogar'? 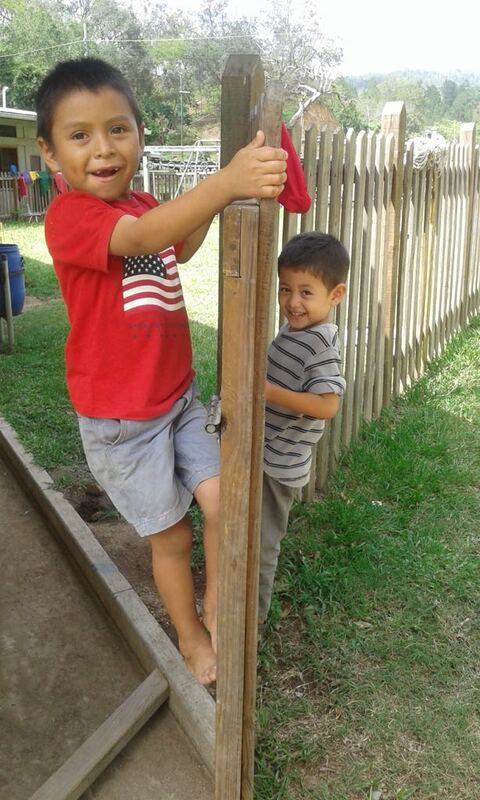 Felipe* (one of the older boys in Agustin's hogar) and my siblings. I like to play with them. What are you grateful for at Amigos de Jesús? I'm thankful for the other kids, my 'padrinos,' and my siblings. What is your favorite part of Amigos de Jesús? The cross-because it helps us. What do you like to do with the volunteers/your 'padrinos'? Play and talk to my padrinos. Who is your favorite person at the 'hogar'? Padrino Selvin (one of the ‘padrinos’ in Agustin's hogar), because he does a lot of stuff with us. What's the hardest part about being a kid? Missing a lot of people. How would the world be different if animals could talk? There'd be a lot more noise. What makes you happy? Smiling. 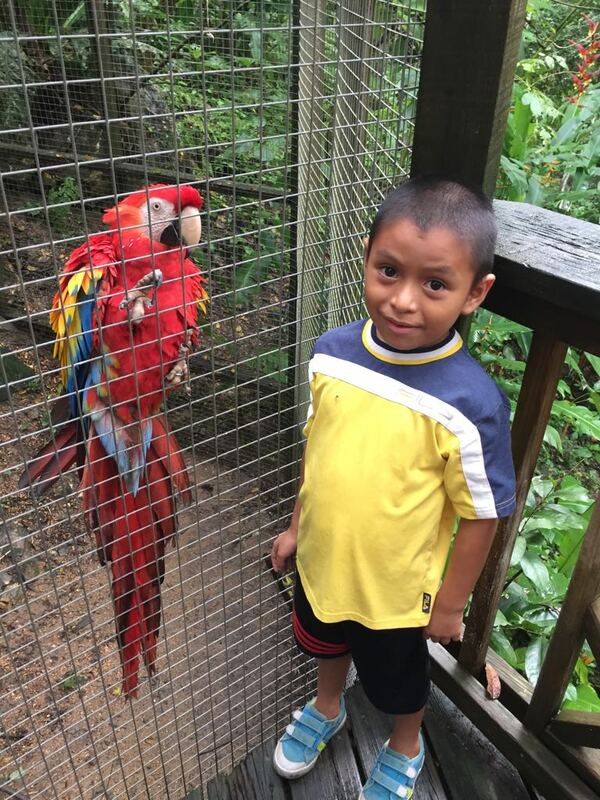 Agustin with the Scarlet Macaw, the National Bird of Honduras.